The “right to bear arms” has been a major topic of debate in US politics over the last several years. 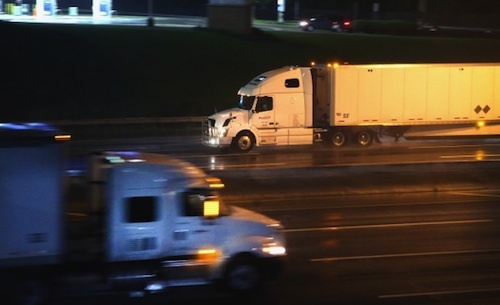 But for truck drivers, self-protection is a very real concern they face each day on the job and many are caught in the crossfire of confusion about interstate laws. Being alone on the road while transporting loads of goods makes truck drivers easy targets for criminals. According to Trucks.com, the Bureau of Labor Statistics data indicates that truck drivers were the victims of 5 percent of workplace homicides reported between 2011 and 2015, with a total of 27 driver killings during that period. Most were killed while on duty parked on a local road, street or highway or in a parking lot or garage not owned by their direct employer. The increasing truck parking shortage and HOS regulations have also put drivers more at risk where many are forced to park in remote, unfamiliar and dangerous spots for mandatory overnight rest breaks. Logically, most drivers certainly agree the dangers of their job should assume their right to carry legally permitted firearms. 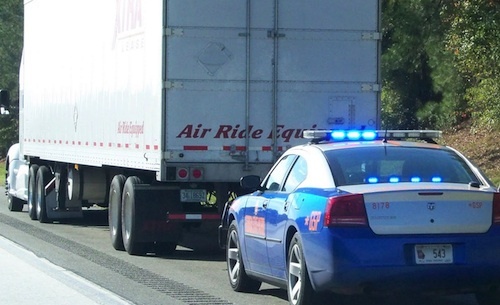 But legally, it’s the disparity of state laws that creates confusion for interstate truckers. While there is no federal law prohibiting commercial drivers from carrying properly permitted firearms, there is also no “blanket” federal law covering them in every city, county and state. For instance, drivers may obtain a legal permit in their home state but if their job requires them to travel to strict gun law states such as New Jersey, they could face a prison sentence of 3 to 10 years. Company policy. Many companies don’t allow their drivers to carry a gun period and doing so could potentially cost your job. Owner-operators are able to decide for themselves. When in doubt keep your firearm unloaded, locked in a case, and stored in an inaccessible area of the vehicle (such as a trunk or toolbox) and not visible from outside of the vehicle. Ammunition should be stored in a separate locked container. Law enforcement may search anywhere in the vehicle within your reach without a search warrant during a valid stop. But they can’t open and search closed luggage without probable cause. This especially applies to luggage in locked storage areas of the vehicle. You have the right not to consent. The website handgunlaw.us provides up to date information on gun laws in each state and provides direct links to permit applications in each state.